When you create a category page, your theme, by default, lists all of your articles within that category. Some themes show post titles, other themes show full articles, and Thesis gives you the power to change it at will with just a few clicks. When people click to your category page, do they really want you to bombard them with all of your articles at once? No one likes to feel overwhelmed on a website. And worse, the overwhelming feeling of clutter triggers immediate distrust. 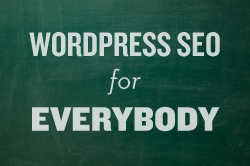 To solve this, you must create introductory content on your WordPress category pages. Instead of throwing people head first into your content, you set expectations. You tell people what to expect, and what they can learn from the articles in your category. As an example, let’s say you had a category page all about real estate investing. On your page, you’d introduce the main ideas behind real estate investing, and the types of articles people will find on your site. Then, you should list your articles. Think about it. From a usability standpoint, people who hit your category page would feel welcomed instead of assaulted. Google wants to show the BEST pages in their search results because it creates a great user experience for their searchers. Now, do you think a list of links to your posts is a useful page? Google wants to send people to the information, not to a list of links. How Do You Get Your Category Pages Ranking in Search Engines? Yes, there are different ways to optimize your site for search engines, but in the end, it’s all about the links. Now I’m not suggesting you buy links, that would be against Google’s Terms of Service. However, when you turn your category pages into useful resource pages, the links can come naturally. And, to kick-start the link building, you can make sure your blog posts links to your category pages whenever you mention that category (don’t include more than one link per post). Or, when you write guest articles, or get featured on other websites, you can simply link your category resource page instead of your home page (if it makes sense to do so). Okay, How Do I Add Introductory Content to Category Pages? If you use the Thesis Theme, you’re in luck. You can turn your category pages into useful resource pages with introductory content WITHOUT CODE. There, you can enter an Archive Title and Archive Content. 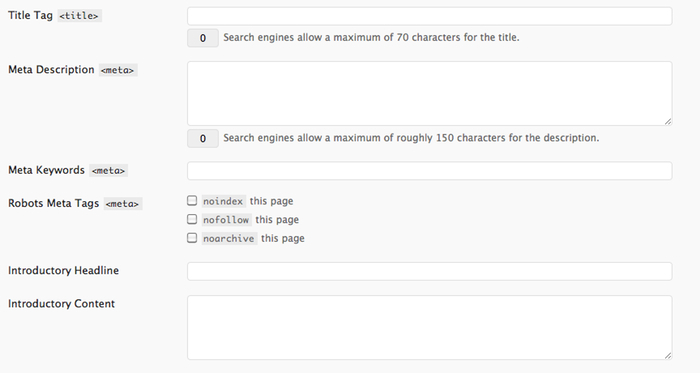 And then, automatically, Thesis will pull that content to the top of that category page. If you don’t use Thesis, you can either mess around with WordPress conditional tags, hire a developer, create custom category page templates, or just buy Thesis now.